If you’re looking to lift some weights, get in a few laps at the pool, or shoot some hoops with your friends, a community sports center is your spot. A wonderful element of your town or city, sports centers offer the opportunity for the public to stay active and stay competitive, with local leagues and teams. Here are the 10 best sports centers in the state. Gateway Village is more than just a sports complex: it’s a total destination for athletes, coaches, and families. Once completed, it will be the largest amateur sports facility in Missouri, with one million square-feet of fields, courts, retail and dining, hotels, and even residential units. 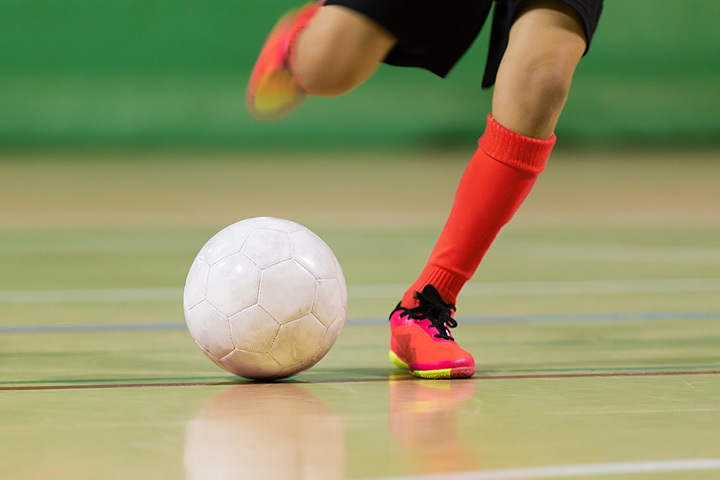 Gateway Village is also the home of Heartland Soccer, the country’s largest outdoor soccer and indoor futsal league. JOMO Activity and Sports Complex is comprised of a sports arena, perfect for basketball, volleyball, and futsal, as well as five baseball/softball fields. Amenities include gender/sport specific field dimensions, dugouts and grandstands, and warning tracks. JOMO is home to several local and regional tournaments, but is also great for pickup games and individual practice. The Cape SportsPlex is one of the largest state-of-the-arts facilities in the region, with two regulation indoor turf soccer fields, including drop down netting for baseball and softball hitting, and hardwood basketball courts which can convert into 6/12 regulation volleyball courts. The SportsPlex boasts ample spectator seating for every sport, and plenty of space for team meetings, coach’s clinics, and team parties. Talk about leagues: The River’s Edge Sports Complex has them all. Flag football, kickball, bean bags, lacrosse, soccer (both indoor and outdoor), whiffle ball, volleyball (sand and indoor), softball (fast pitch and slow pitch), and baseball are all in the offing. Every member of the family will find something to do at River’s Edge! The city of Springfield has a number of sports centers, all of them nicely maintained and full of amenities. The three listed above are in the same city block in the center of Springfield and function as a single complex with three parts. The Killian Sports Complex has a 1,080-seat softball stadium, along with five other fields, and is home to the Missouri State University Softball team. The Cooper Tennis Complex was named the 2016 USTA Outstanding Tennis Facility, and includes 12 indoor courts, 17 outdoor courts, and 2,500-seat Mediacom Stadium Court, which is home to the Springfield Lasers Pro Tennis Team. The Lake Country Soccer Complex has a number of indoor and outdoor fields, and hosts both youth and adult teams. The 21-acre Ferguson Sports Complex features picnic pavilions and playgrounds, batting cages, a multi-use trail, courts for tennis, handball, and basketball, as well as baseball/softball fields and soccer fields. The beautifully-maintained facilities are perfect for local tournaments, a friendly pickup game, or improving your skills on a sunny afternoon. The massive indoor/outdoor Branson RecPlex has it all: two gymnasiums (one for basketball, one for volleyball), a full fitness center, indoor track, locker rooms, community rooms for various activities and events, an aquatic center, fields for soccer, baseball, and softball, as well as a children’s playground, picnic pavilions for family events, and walking paths. A popular destination for area tournaments. The Activity and Recreation Center of Columbia boasts an indoor pool, full gymnasium, a weight room, strength training and cardio equipment, and an indoor track. Group exercise and yoga classes are available, staffed by friendly, knowledgeable people, and memberships are available if you want it to be your primary workout space. Bledsoe Ferry Sports Complex is made up of three soccer fields, one baseball field, one softball field, one multi-purpose field, two T-ball fields, a batting cage, a full-service concession stand, and restrooms. Bledsoe hosts the area high school baseball and softball games, as well as the all-city baseball, softball, and youth soccer leagues. The Bud Dome is actually two joined indoor sports facilities, conveniently named Bud Dome 1 and Bud Dome 2. Under the Bud Domes, area athletes and teams can play almost every sport in America, free from the threat of Missouri’s temperamental weather. With over 80,000 square-feet of playing space, there’s likely to be room for you to compete, practice, or just get in a pickup game of whatever sport you choose. View more Missouri Sports Centers and Complexes.